If Toronto Real Estate Is So Hot, Why The 45,000+ Cancelled Listings Last Year? Toronto real estate is one of the world’s hottest markets right now, but the stats are looking a little strange. Despite the “record demand,” and “shortage of inventory,” thousands of listings are cancelled each month. Many of these listings reappear within days, in an attempt to game buyer psychology. Since Toronto’s MLS is a closed system, the listing history for properties is not available to the public. The consequence? Buyers have been led to believe that they should buy a home as quickly as possible, and pay over the asking price. A small group of agents have been removing listings just before the MLS does the “active listings” tally. In 2016, there were 45,551 listings removed from the Toronto MLS without being sold. This number is roughly the equivalent of two cancelled listings, for every three sold. The ratio is 18% higher this year, than last year. Seems a little wacky, especially in a market where homes sell in less than two weeks, and for over ask… or so buyers have been trained to believe. Last week I reached out to Jason Mercer, TREB’s director of market analysis, and asked him what I was missing. He explained what I called cancelled listings, are “terminations, suspensions, and expires.” He couldn’t tell me why Toronto had more cancelled listings last month than all of the homes sold in Vancouver during the same period, because “TREB does not collect data on why the status of a listing changes.” Apparently quite a few agents are familiar with Mercer’s last statement. There are many reasons listings are cancelled, but an average of almost 4,000 per month? I asked a few Toronto agents what they’ve been seeing. Many did confirm that it’s a common tactic to reduce the number of days on a listing, and it will give the appearance that it sold over ask. Unfortunately, no Toronto real estate agent was willing to do an official interview, for fear of alienating other agents. It also has the benefit that it’s not a price drop, it’s a new listing. Our early research with IBM’s Watson artificial intelligence engine tells us that days on market is one of the most important psychological factors impacting what a buyer is willing to pay. Manipulation of this number will have severe consequences to what could be a healthy market. While Saretsky isn’t seeing a spike in cancelled listings in Vancouver, he did say “it’s one of the oldest tricks in the book.” He also told us, “ultimately a buyer’s agent will still have a history report of that property and a buyer should be aware of the previous stale listing.” That is, if you remember to ask your agent for a full listing history. I’m sure everyone does that, right? 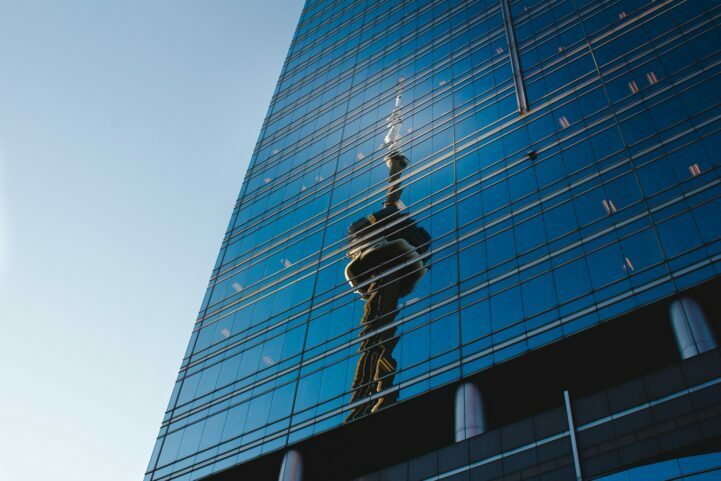 Toronto real estate is in demand, and it’s relatively scarce – no one’s denying that. However, the prices properties are being exchanged at, are not increasing at a rate that fundamental demand supports. When assets trade this way, traders say the market is operating on “greater fool theory.” Sellers are finding buyers that will pay a premium, relying on the belief that prices will always go up, a.k.a. “a greater fool.” There’s no justifiable reason, other than the buyer’s belief that other people are doing it, and they believe they can sell it to someone else, at a higher price. Now that isn’t to say you won’t make money, because you might be able to find someone else that is willing to pay more. It does mean that the premium people are paying will be more susceptible to manipulation by fear. Here’s the problem: if people are told the statistics show that everyone is paying over ask, and in a really short period of time – that’s what people think you’re suppose to do. honest real estate agents are caught in this crap storm, and are forced to participate whether they want to or not. Through this manipulation of statistics, first-time buyers have been tricked into accepting a culture where you have 13 days, and can’t negotiate the biggest purchase of your life. It also means that honest real estate agents are caught in this crap storm, and are forced to participate whether they want to or not. Still think people are doing this because Toronto is going to be the next New York? Well, this isn’t a normal process there. The average days on market in Manhattan is 68. Let’s make it clear that TREB isn’t at fault here, but they aren’t exactly trying to sort out the issue either. Having an opaque marketplace of real estate data leaves buyers susceptible to manipulation. A buyer’s only access to research is through press releases from real estate boards, or a sales associate. If these numbers have been manipulated, you’re depending on TREB to catch that and notify you. If they don’t, you’re out of luck. A simple solution is to allow all buyers access to listing histories themselves. Unfortunately, TREB has been fighting tooth and nail to ensure that the data isn’t available through anyone else. Meanwhile, the province is still convinced that the real estate industry is capable of self-governing. Is manipulating data in this way a good sales technique, or a serious problem with the way the system is set up? Give us (or Kathleen Wynne) a tweet, and let us know. Like this post? 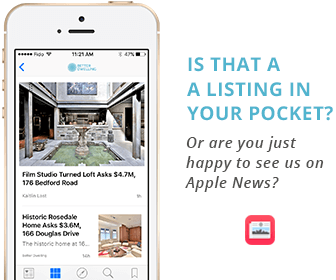 Like us on Facebook for the latest in real estate news. Ha! The only thing to do now is to convert your capital to USD, and wait for the Canadian government to just devalue all of this poorly used capital. This industry 100% is not capable of managing itself. Too bad Wynne sold us out for…I’m not even sure why we’re getting sold out so often. I feel bad for both of them. I went for a house showing yesterday. The guy who was the owner of the house and also a real estate agent told me that he is attending a training course on House Flipping. I was wondering what has happened to this industry it has totally gone to the dogs. There are real estate agents who are holding as many as 5 to 10 properties. They are spreading panic around and making people buy houses in panic. This mess is a combination of factors- low interest rates, shortage supply ( maybe due to cancelled listings) , foreign money , and even the real estate agents who have to make living off it trying to maximize their profit. I seriously don’t understand with so many articles and talk about it how does the govt not have solution for this ? or they are happy with the money pouring into their treasury and talking but doing no action seems a better choice ? ………..
so true! i know 3 people that have left good jobs to become FLIPPERS — the housing situation in Ontario has gotten so out of hand and the government is not doing anything to stop this nonsense! No wonder there’s a housing shortage. Specs buy 10 houses for their inventory. The houses are then off the market. Instant shortage!